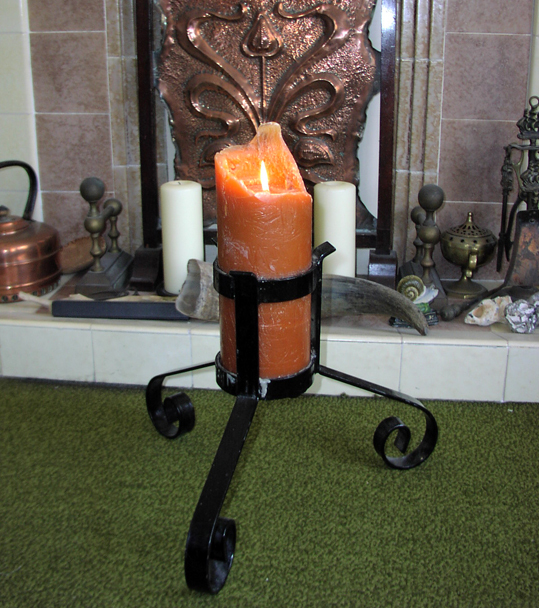 I've just had a brilliant charity shop find - this huge orange candle in a cast iron stand. It was sitting in the window and I think it was probably put just as part of the Halloween display because it didn't have a price on it. I asked the woman behind the counter if I could buy it and she said OK - £2. What a bargain! I lit it as soon as I got home and it will be perfect to have burning tonight. 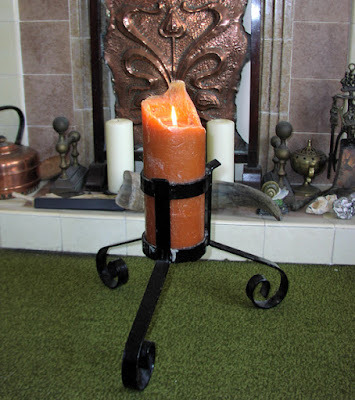 But candles aren't just for Halloween, especially if you are a witch, and this one has many hours of light left in it. I am delighted.